Vintage candleholders from the sixties. 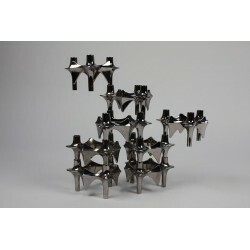 The candleholders are designed by Mr. Nagel, Germany. 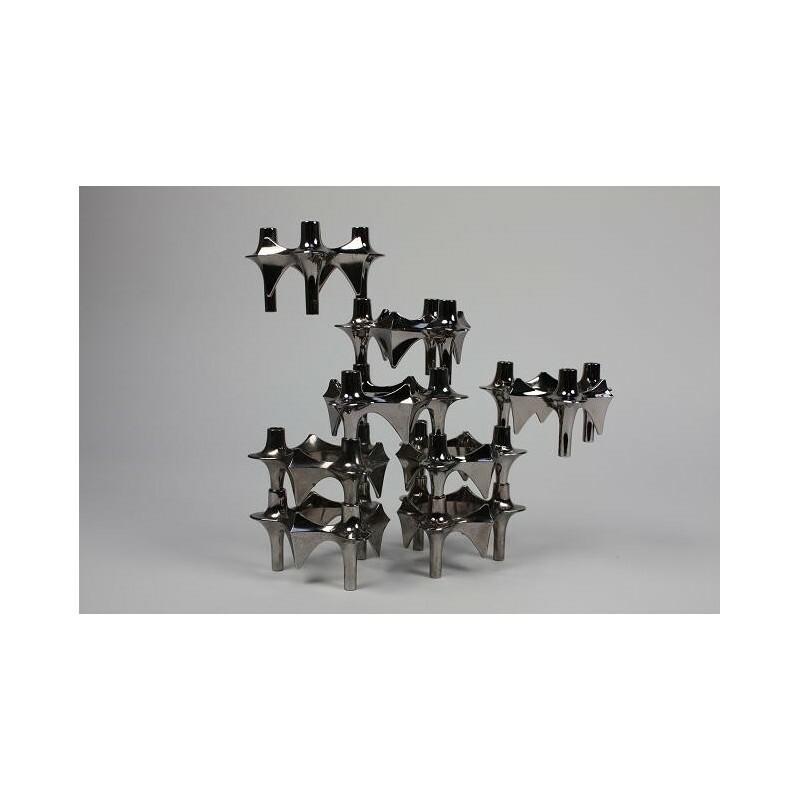 These luxury chrome candleholders can be stacked by your own descretion, they are also an art object for your home. The candleholders are in a good condition. The price is for the set of 8.